two free blog courses called Writing 101 and Blogging 101, organised through WordPress. Every weekday the WordPress team send you a blogging task and a writing task to do to challenge yourself. They are just a little something to get you into the habit of writing everyday, whether it be privately or as a published post. I wasn’t sure what I was getting myself into to, to be honest, when I signed up for it last Friday, but I’m now on Day Two and it’s actually fun and quite interesting. The writing tasks are more personal things to do in your own time to build up a writing habit. The blogging tasks I’m hoping are little things that will help me keep the blog alive. And fingers crossed not be tasks that mean posting everyday! I just hope this will make my blog come alive a little bit more! My first task was to write and publish a “who am I and why I’m here” post. I wrote this blog on Monday (Day One) but scheduled it to go live today. Mainly because I post every Wednesday and Sunday so kind of want to stick to that. I decided to start this blog 2 years ago to blog my journey as a drama school graduate, but why did I choose to do this publicly instead of just keeping a personal journal? As a out of work (more often than not), insecure actor I wanted to document my fears and stresses, allow others to find a connection with. Realise they are not the only ones to feel the way they do. I know after sitting down and truthfully talking to some of my drama school buddies, it’s so nice and reassuring to hear other have the same concerns and fears. I also write because sometimes all these worries are going round in my head and I need to just write them down, get them out of my head and then share them to whoever fancies having a little read of my blog. Knowing there’s (hopefully) some reading it is kind of like going to counselling… but not! With this blog I plan to continue talking about my acting career – sharing my woes, review my wonderful fellow actors shows and just any general things that come up that I think may be relevant to the big, occasionally scary, world of an actor. 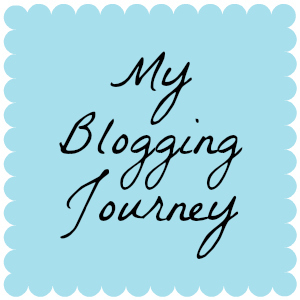 I would love to see myself still blogging every Wednesday and Sunday in a years time. Still have interesting things to talk about. And fingers crossed have more people reading my blog… or at least still have people reading my blog!! They say “Ideally, you could complete every Blogging 101 assignment, and your readers would never even know you’d been part of a course” – but I wanted to spread the word of these great courses. Even if you aren’t a blogger and want to get writing, the Writing 101 course will get you started. ← Strictly Come Dancing Audience 2015!